Rory Clarke interviewed four referees in Ireland, across four different sports, to discover how they feel taken for granted, appreciated and enthusiastic - depending on the day. Share the post "The refereeing rollercoaster"
It is fair to say that Sean Gallagher has had a prophetic rise as a referee. Since being thrown in (reluctantly) to referee a match in Navan Rugby Club 14 years ago – when the actual referee’s car broke down – the former UCD student has gone from strength to strength. He has worked at some of the game’s most illustrious tournaments, including the Sevens World Cup in 2013 and the Women’s World Cup in 2017. 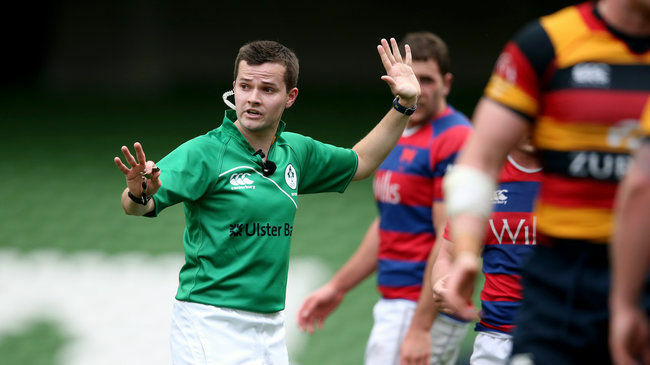 Now the IRFU Provincial Referee Development Manager in Leinster, Gallagher assists the Association of Referees Leinster Branch (ARLB), “at all levels of the game…in managing and educating their members”. This ranges from organising workshops for “new referees who are just beginning their careers to coaching IRFU National Panel referees.” Gallagher is the contact point for new referees and waxes lyrical about the process, which begins with the New Referees Course. A one day event which “covers the basics of refereeing,” this course is followed up “by four technical workshops on the key areas of the game”. New recruits initially officiate in age-grade matches, operating in a support network which includes experienced mentors. Having started out as a secondary school teacher before becoming a full-time professional, Gallagher clearly revels in escaping out from behind his desk. His typical week depends completely on the time of the season. For example, in the week I spoke to him, he refereed Scarlets v Southern Kings, reviewed that match and the other Guinness Pro 14 games that took place, flew to Paris to prepare for the Champions and Challenge Cups and ran touch for a match in Belfast. It’s not all glamour and witty comments á la Nigel Owens! There is little surprise therefore that the training regime of referees has had to adapt to this hectic schedule. In fact, the referee’s training seems to nearly mirror that of the players they’re supervising! Gallagher has access to a strength and conditioning coach who monitors his fitness. He trains “every morning and usually does two weights sessions in the gym, one speed session on the pitch and a high intensity running session each week.” He explains that there’s more to it than physical fitness however, “referees need to make accurate decisions, in high pressure situations, under fatigue. The game is faster than ever” and they need to be able to keep up. The Meath man acknowledges that, unlike in some of our other interviewed sports, “a lot of respect is given to our match officials.” The strict rules which facilitate the polite, in-law type conversations between players and referees are complemented by a practice in recent years where “professional teams have a referee at their training sessions to assist with improving discipline.” This is a two-way relationship which “allows the referees to gain a better insight of what the teams are trying to achieve, and in turn gives the teams a better understanding of what the referees expect during matches”. Gallagher heartily recommends anyone who has an interest in refereeing to “just give it a go” – much as he did all those years ago. There are many disciplines and skills which run in families. Families of doctors, lawyers and builders are commonplace. However, some things, like refereeing, generally don’t follow this pattern. Fintan Pierce, a Gaelic Football referee from Offaly, is an exception. Acting as an umpire for his father – himself a referee – allowed the midlands man to “understand the rules of the game better” and realise that it was something that he’d like to try out. Novice referees start with younger age groups and move from there in line with their own development. Pierce explains that this experience was particularly valuable for him as it “took a while to get used to seeing the game from a different perspective than a player would.” Seeing “both sides of the game” is essential for referees, but completely alien to players. These early years allows younger referees to “get familiar with the rules and develop [their] own style and routines”. From there, those who have impressed begin to be appointed to more and more adult games. Pierce recalls moving through the “lower league levels and championship grades” which were important to “get noticed”. 2016 was a key year for him, as he was nominated to the Leinster inter-county development panel. This was all the more impressive for the tender age at which it was achieved; 21. Apart from overseeing bigger championship games in Offaly, this appointed allowed him to engage in debates, in refereeing circles “on the rules that cause the most controversy” – notably the opinion-polarising black card. His career, running concurrently with his studies at IT Carlow, has hit even greater heights in recent years. He explains the significance of his appointment to the Senior Football Championship Final in “his own county” in October last year. 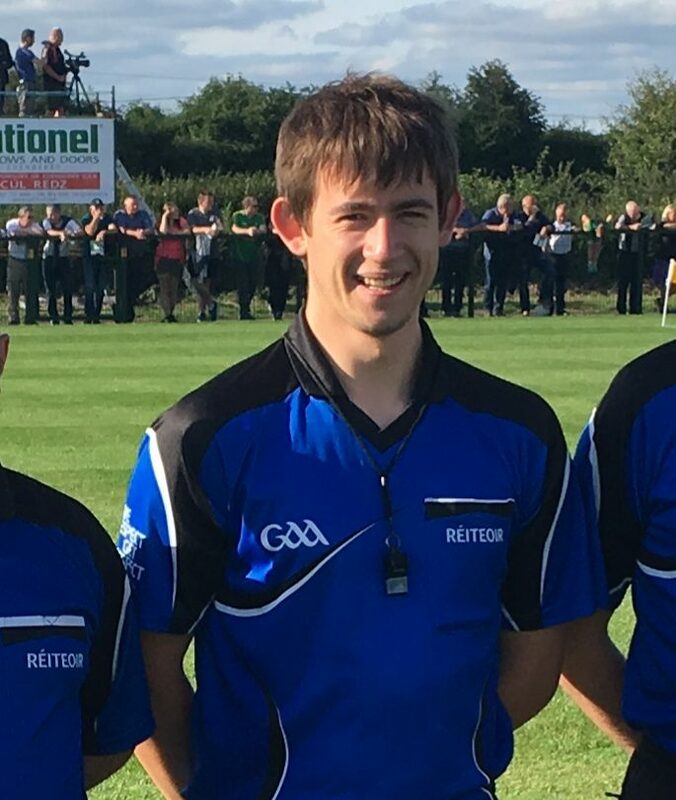 “It’s the game that all referees want to get, and it’s been a goal of mine since I started to referee.” He now regularly oversees Senior A matches and, as part of the National Referees Support Panel, works the line for National League games. For those who can’t, or choose not to be involved in GAA as a player or coach, Pierce believes that refereeing represents a “rewarding alternative”. It offers unique opportunities which, he for one, has grabbed with both hands. For Thomas Gleeson, a talented kid who grew up in Dublin’s inner city, it was clear from the very start that he was destined for a career in the GAA. However, when he won an All-Ireland hurling skills competition in Croke Park at a tender age, few would have been surprised to see him return to the Dublin venue as a player, rather than a referee. Having been plucked from this illustrious setting by Naomh Fionnbarra in Cabra, Gleeson played from U10’s right up to senior level. However, despite his burgeoning playing career it is also clear he harboured other ambitions. Aged 14 he took up an offer to do the Go Games refereeing course – “since then, I’ve never looked back!”. He has accomplished several milestones in a career which he (modestly) admits has progressed “fairly fast”. Starting with Go Games, the upward trajectory of his career has been unfaltering. Moving first to 13-16s, then to senior level, then to Dublin & Leinster, Gleeson was recently appointed to the National Hurling panel, “a big achievement” for any referee. He has refereed the Leinster Junior Hurling Final and was linesman for Kilkenny/Waterford AHL1A clash in Walsh park last year. For him, there are few better feelings than walking out in a “stadium at full capacity – you just get this shiver right through your body”. 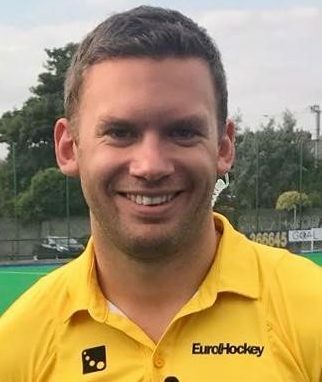 Rob Argent, the last referee we spoke to in this series, has been brought up refereeing (or umpiring) not only in a different sport, but in a different country. The manner in which he took up the whistle is however, quite familiar – particularly to anyone who has completed/contemplated TY in Ireland. His passion for umpiring became apparent when he was completing the ‘Duke of Edinburgh’s Award’ in the UK (equivalent of Gaisce) and “had to find a skill.”. Looking down the list “the only thing that stood out was sport officiating”. Next articleWho are the likely contenders for #UCDSUElects2019?